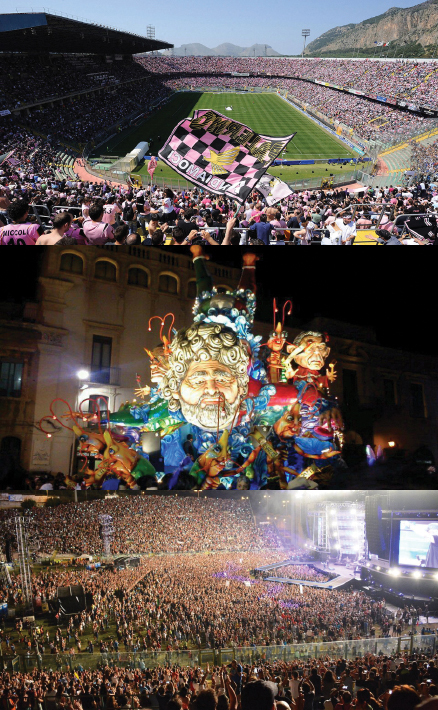 The rental service with driver is very often used in the case of particularly famous events like football matches of Serie A , concerts, fairs and festivals; almost all major events are held at the metropolitan city of Palermo, Catania and Messina. The transfers and services of RS NCC shuttle are the right solution to avoid wasting time and have the opportunity to relax completely. We offer free WIFI in all our cars. RS NCC offers you a pleasant stay in one of he most beautiful areas in the world. Sicily has always been a place full of tourist attractions. However, only the ones who spend their daily life here know how to explore the island in the right way. Our drivers have a profound local knowledge and take you to the most important attractions and places. Our customers are not anonymous clients but warmly welcomed guests. We consider high service standards and professionalism an absolute must – this is why we combine these essential components for ultimate contentment: service and best local knowledge. In addition, we provide a maximum of privacy with all kinds of events, for instance while shopping or on other tours. Transfer rides by minivan to meetings and other events On request with a German or English-speaking driver. We save you from all the trouble tourists encounter who travel on their own.